It's the "Game Of Thrones" theory countless readers have been waiting years to be confirmed, and now it has, thanks to an official infographic. One of the biggest moments to occur during Sunday’s epic “Game Of Thrones” Season 6 finale was Bran Stark’s trip back to the Tower of Joy, where the show finally brought to life one of the most important scenes in the history of the franchise’s mythology. It was here that Bran found out the truth of Jon Snow’s parentage, as a bloodied Lyanna Stark made her brother Ned promise to keep her newborn child safe. We couldn’t hear exactly what Lyanna said, though it became very clear that the baby’s real identity must be concealed if the child were to stay alive. The critical scene confirmed that Lyanna Stark is Jon Snow’s mother, though it did not outright state who his father is (though, if the baby’s life is in danger, his father must be pretty important). The R+L=J theory has been one of the most popular among “Thrones” fans for years, and while the show did not say that Rhaegar Targaryen is Jon’s father, a new infographic released on HBO’s official Making Of “Game Of Thrones” website pretty much seals the deal. 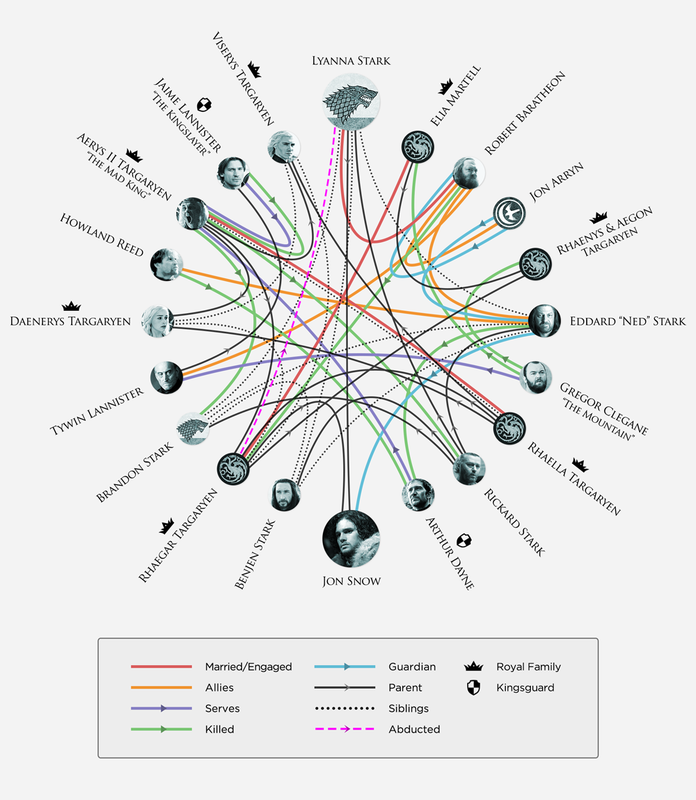 The infographic details the way in which the characters the populate Westeros are related, and Jon Snow is definitively linked to both Lyanna Stark and Rhaegar Targaryen. As the theory goes, Rhaegar Targaryen either kidnapped or fell in love with Lyanna Stark and took her to the Tower of Joy (it depends who you ask, and neither the show nor the books have yet to confirm the real story behind their affair), and she ended up giving birth to a son. The show revealed that son was Jon Snow, and now the infographic makes clear just exactly who the father is. If you’re an R+L=J theorist, it’s time to celebrate.